The Bundesliga champions failed to grab an away goal in the first leg against Liverpool, making their job that much tougher in the second leg. 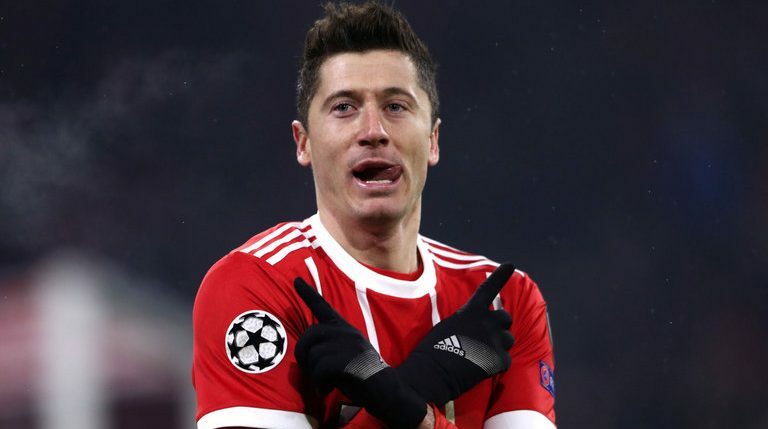 Bayern Munich striker Robert Lewandowski has blamed manager Niko Kovac’s defensive set-up for their Champions League exit at the hands of Liverpool. The Bundesliga champions secured a 0-0 draw in the first leg of their last-16 tie at Anfield, but their lack of an away goal left them vulnerable heading into Wednesday’s second leg. Liverpool would exploit that vulnerability to great effect, scoring a vital away goal in the first half through Sadio Mane. Though Bayern equalised to make it 1-1, they were still forced to attack knowing that such a result would see Liverpool through on away goals. And the visitors would eventually secure their spot in the last eight through second-half strikes from Virgil van Dijk and Mane, winning 3-1 on the night. Lewandowski was fuming after the match, and pointed to his side’s lack of attacking intent in the first leg as a principal reason they are now out of Europe. “In the first game we didn’t make a good risk to play forward and try to score the goal,” the striker told beIN SPORTS. The Polish star also didn’t feel that his side showed enough interest in attacking during the second leg at home. “Today also I think we didn’t try to play offensive and try to score the goal because we didn’t have a lot of chances also and that was our problem today,” the striker continued. “We were playing at home but that wasn’t our game today and that’s why Liverpool beat us. With their European dreams dashed, Bayern must now turn their attention toward securing a domestic double. The Bavarians are in first place in the Bundesliga on goal difference over Borussia Dortmund, while they will face FC Heidenheim in the quarter-finals of the DFB-Pokal next month.